Crunchy fruits, chewy paneer, sweet, citrus, and peppery. A very enjoyable mix of tastes and textures, this salad can be served before or after food. 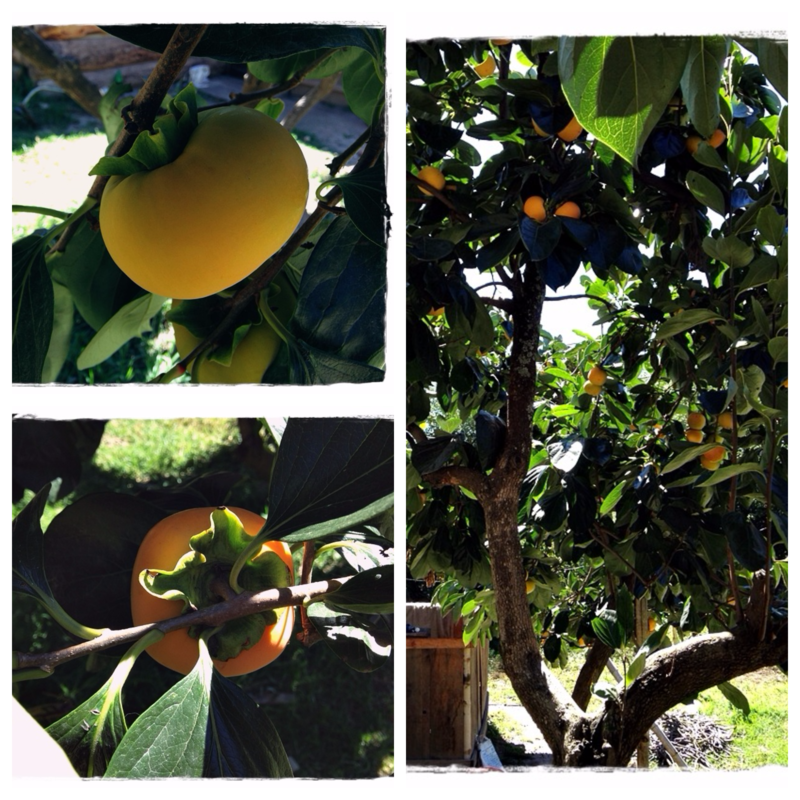 Summer is when fruits are available in plenty. Including a salad in your menu cuts down time spent near the stove and is a welcome refreshment and hydration for your body. A fruit salad sounds as easy as tossing pieces of fruits together in a bowl and serving it. But the amount of care and thought that you put into your fruit salad shows in its taste. Texture-wise, your fruit salad will taste better if the fruits you choose are soft and ripe with a slight crunch to each bite. Your individual fruits pieces should take on the flavor of the other pieces yet without seeping into the other pieces. Over-ripe fruits can break quickly into a mess and coat into the other fruit pieces. 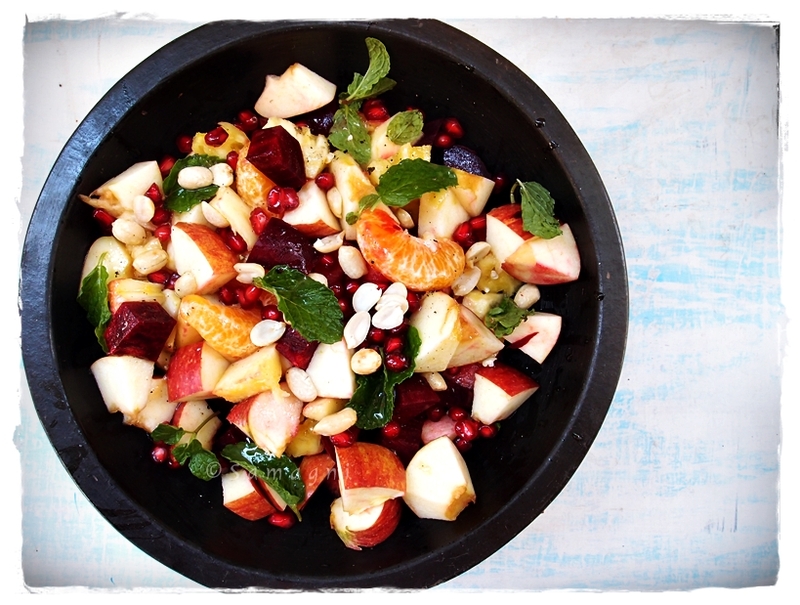 By mixing together ripe but not mushy fruits, your fruit salad looks fresh and vibrant for a long time. Wash all the fruits. Wipe clean and cut the fruits into cubes and mix in a bowl. Pour salt and lemon juice over the cut fruits to retard oxidizing (browning of exposed portions). If you plan to serve the salad chill, at this stage, you could refrigerate. This will allow the flavors to mingle. But do not refrigerate for more than four hours. Cut paneer in cubes. Add the paneer to the cut fruits along with cashew nuts and raisins. Add honey, olive oil, pepper, and mint leaves. Serve immediately or serve after chilling for a short while. This salad is inspired by a recipe I saw here.